Today, remote areas are enjoyed by residents and visitors for hunting, fishing and nature expeditions. Remote lodges and camps are scattered throughout the Valley. Most travel to remote lodges is by air taxi. Some lodges cater to snowmachiners and dog mushers in the winter. Accommodations and services vary. Check with individual lodges to see what they have to offer. 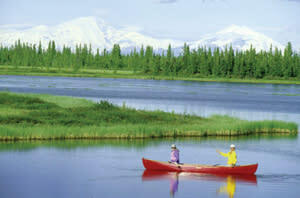 Wilderness Lodges: Alaska Adventure Awaits! Just because they aren&apos;t on the road system doesn&apos;t mean you won&apos;t have first-class amenities. Actually, the contrary is true. Many of the Mat-Su Valley&apos;s remote wilderness lodges offer exquisite experiences in a setting that is unrivaled. World-class chefs, culinary arts classes and immersive hiking experiences are just a few things you&apos;ll find at the many lodges. Many places in the Valley serve as "jumping off points" to remote Alaska, including the Lake Louise Recreation Area (turnoff at Mile 159.8. Glenn Highway 1). Enjoy the area&apos;s year-round adventure, including lake trout fishing, views of Tazlina Glacier, snowmachining and cross country skiing. Lodges, campground, and public boat launch are available to help you launch your expedition. Other areas include salmon fishing off the Skwenta, wildlife viewing and berry picking in the Talkeetna Mountains or enjoying the rugged beauty on the Denali Highway. Some of the lodges are only open in the summer, so check ahead before heading out in the winter. Others cater to winter traffic, with accessibility actually easier during the winter months due to snowmobile trails, many of which are groomed and maintained as if they were a highway. For flightseeing trips, guided fishing, back country treks, or custom tours, contact businesses in the "Vacation Fundamentals" section of the website. 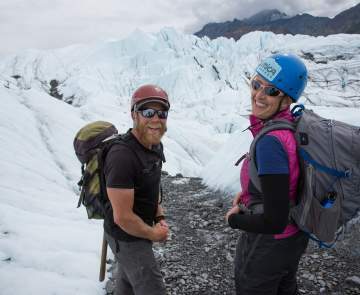 A professional guide is always recommended when venturing into Alaska&apos;s wilderness. The clear waters of Lake Louise (and adjoining Susitna Lake) cover 37 square miles and is Alaska&apos;s largest lake system with road access. Located at the end of a 19-mile road that branches off the Glenn Highway at Mile 159.8, Lake Louise is the eastern-most community of the Matanuska-Susitna Borough. 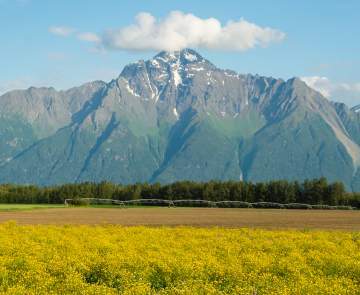 The area serves as a "jumping off point" to remote Alaska as well as a convenient overnight stay for travelers between Anchorage and Valdez. Visitors can enjoy year-round adventure here, including trophy lake trout, grayling and burbot fishing, views of Tazlina Glacier, hiking and berry picking. Winter at Lake Louise is a bustling time of year with cross-country skiing, snowmobile events and sled dog races. Just about every weekend in the winter offers a different event. 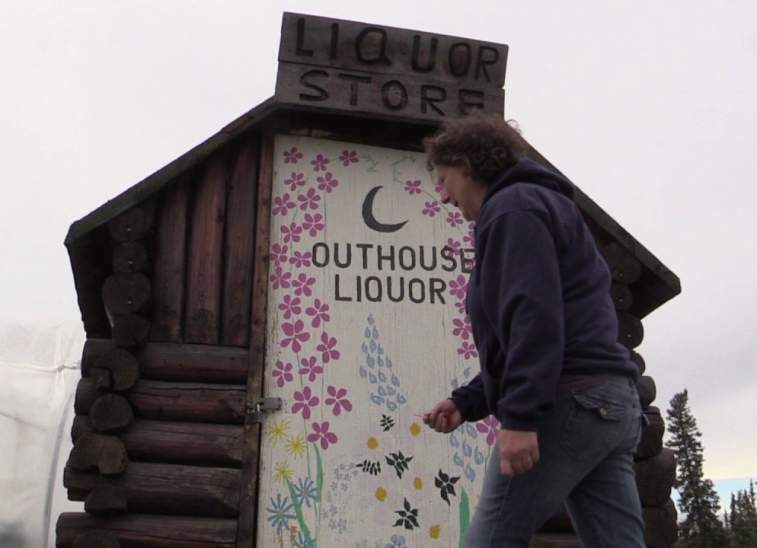 This is a favorite playground for Alaskans year-round and is also a popular get-away for corporate retreats. Lodges, campgrounds boat rentals, guide services and a public boat launch area available to help you start your expedition. Visitors can usually catch a glimpse of some of the abundant wildlife in the area. Perhaps most impressive of the wildlife viewing opportunities is the annual migration of the Nelchina caribou herd each October through November. Other wildlife that call Lake Louise home includes moose, wolf, bear, fox, sheep, lynx, trumpeter swans, cormorants and more.